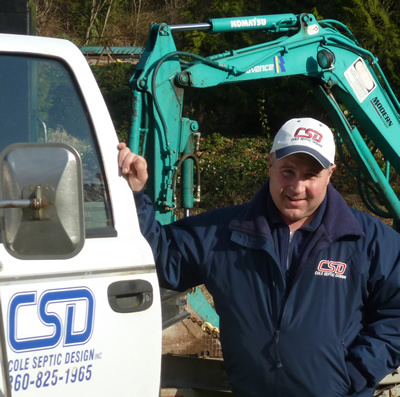 CSD has been performing designs since 1994 and have been in the industry since 1991. We have been incorporated since 2006. We have the experience of not only designing but actually installing the systems. This hands-on training has enhanced our design performance for installer and regulator friendly designs that can actually be installed on your property. We have the know-how to accomplish your project with planning to achieve minimal design and installation costs. We coincide with architectural, engineering, surveying and critical area consultants to integrate with each other to share plans, information and processes that will benefit your project and not add additional costs. A tight-knit group of professionals working together will save you money. With tough projects, we have the experience of appeals & mitigation to obtain approvals. We specialize in hard-to-obtain circumstances, if there is a will there may be a way. It’s time to make progress with your real estate goals. On-going training and education keeps us at the front of the industry for the newest and highest technology available to complete your project. As a member of WOSSA (Washington On-site Sewage Association), we attend classes, seminars and events that keep us educated and intact with the latest technologies available with the industry. There is always something new and innovative that may help with your project. Let’s check-out the options for your project. Contact us Today.